Winner of the Horological Revelation award at the Grand Prix d’Horlogerie de Genève in 2013, the TYPE 3 represents Ressence’s watchmaking philosophy: a balance of technological innovation, mechanical complexity and timeless design. The approach of Ressence is characterised by the elimination of both standard watch hands and crown, the minimization of the case and the maximization of legibility thanks to oil-filled technology. The Type 3 builds on the unique patented complication Ressence introduced in 2010 with its Zero series. The ROCS, or Ressence Orbital Convex System, initiated a new way of reading the time without the use of traditional hands. Rather sub-dial discs continually revolve, as does the main disc into which they are set. They are an integral part of the curved dial and their graphs appear to be projected onto the top crystal as if onto a screen. The ROCS employs a specially modified automatic caliber that gives the minutes, and hence the base calculation of time, from which is extrapolated all the other temporal indications. 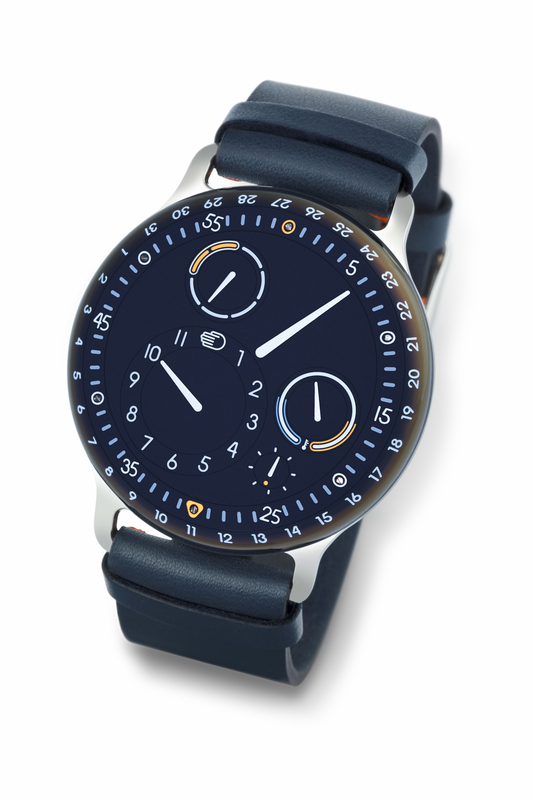 The TYPE 3 features a six-part display complication: hours, minutes, runner, day of the week, date and oil temperature. Because the oil’s volume will fluctuate with temperature, the watch is fitted with a system of seven small bellows. these compress when, with rising temperature, the oil volume increases, or expand if the temperature drops and the volume decreases. The result stabilises the fit of the oil within the watch. The system is indirectly connected to the oil temperature gauge on the dial, so the TYPE 3 owner can see a representation of the bellows capacity in action. 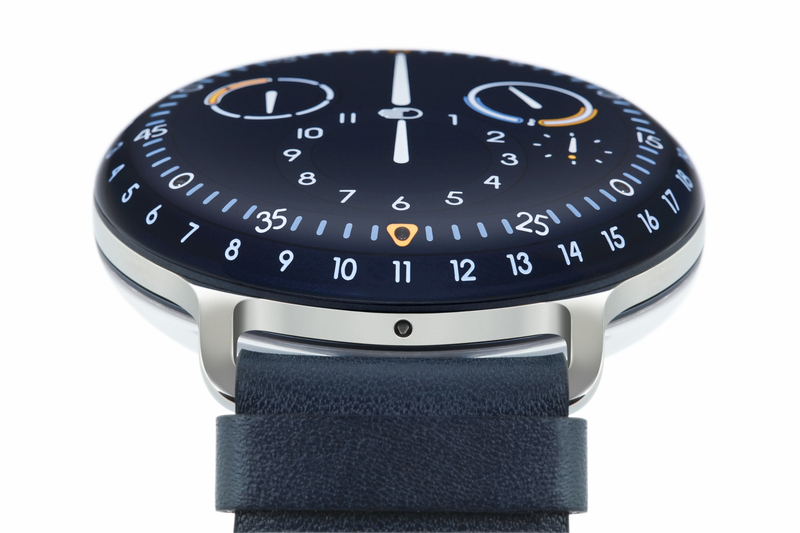 As the ROCS is physically separated from the rest of the watch, Ressence developed a unique magnetic transmission. Several micro magnets, connected to each other, are positioned inside the oil-filled upper half and the dry lower half. The use of super conductors and the provision of a shield fully protect this system from any negative effects of magnetism. The watch is run by the specially customised 2824/2 calibre, which comes with a 36 hour power reserve. 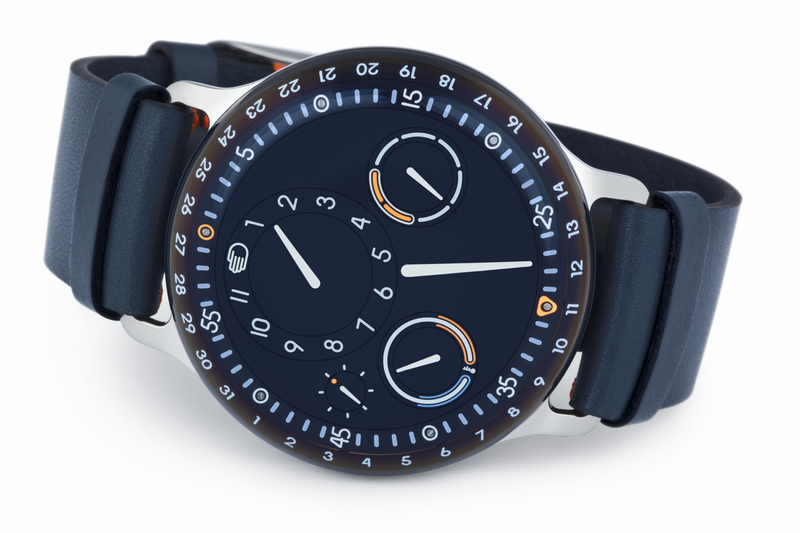 With the TYPE 3, Ressence introduced its oil-filled technology, a world first in mechanical horology. The entire upper half is filled with 35.7 mm of oil to obtain a visual effect which is stunning and truly unique. This creates an amazing legibility and the dial seems closer. The TYPE 3’s case comprises two curved sapphire crystal glasses connected by a 2 mm wide titanium band. As a consequence of this curvature, the watch sits only on the middle of the wrist. Characteristic of Ressence design, the lack of a crown also contributes to this exemplary ease of wear. The entire sapphire case-back fulfils the winding and setting functions of the crown. This entry was posted in Uncategorized and tagged design, Ressence, titanium, wristwatch by admin. Bookmark the permalink.